At the recent WFX Conference and Expo in Dallas, TX, I was the on-site Production Manager for AEGM and mix-engineer for the keynote presentations, which were run three to four times per day the duration of the show. This is an event that I have historically made an effort to try new consoles and technologies on given its schedule and usual manufacturer support. This year was no different with CADAC arriving on the scene with a new digital console. CADAC, known for making ridiculously good sounding consoles, supplied the CDC eight-32 digital mixing console for FOH, and it didn’t disappoint. Even though I had never used one before, the CADAC crew was on hand to guide me through an overview of the system, and the first sound check went off without a hitch. Because the console is still being developed, the designer was with us the entire week, answering any questions we had and also taking note of the way the console performed, and noting any suggestions we had to make improvements for the HOW market. 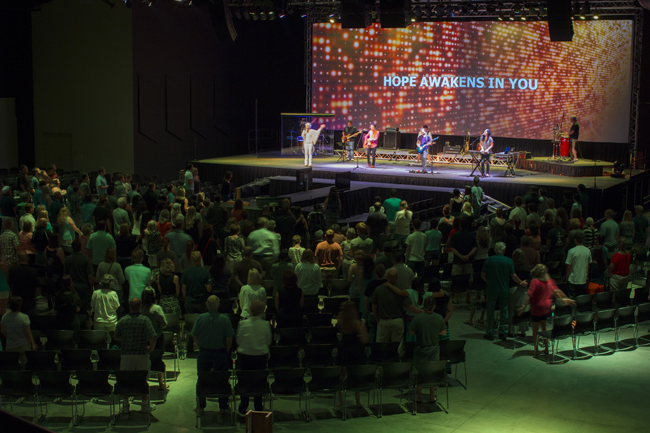 Over the course of the week, the console was used for keynote presentations and live worship performances. One of the things I most enjoyed was how versatile and intuitive the CDC eight was for mixing live. The two 24” touch screens are a great feature of this console, accessing the user interface and providing the information I needed quickly. All the navigation of the console is carried out on two 24” screens, with each screen able to operate independently from the other, and central smaller screen for menu and automation access. They can be run by multiple users at one time, and are surrounded by a range of encoders that allowed me to adjust the parameters I was selecting on the screens. The visual aspect of the large screen made it very easy to navigate the console, and the size of the screen and easy-to-use interface is the biggest standout difference compared to other consoles I‘ve used in the past. I have always had a fairly negative outlook on touchscreen-based consoles, as I feel that they tend to slow down my workflow. That was not the case here. The size of the screens made it very easy to hit what you want the first time and easy to see as well. The easy, intuitive interface means the learning curve for this console is superfast; a HOW could have a CDC eight up and running quickly and sounding great with very little training involved; a huge benefit for HOW relying on volunteers. I really loved the VCA spill feature, which allowed me to select my VCA groups and have instant access to all of those group members on the surface together. 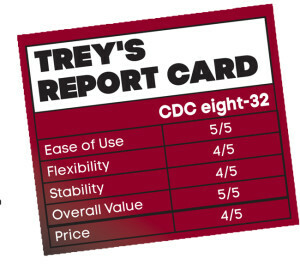 This isn’t necessarily a unique feature to the CDC eight, but the way they present it visually on the surface is. Once I got my VCAs set up, I could access the individual channels within the VCAs very easily and even had metering for all channels in the VCAs available at once on the screen. I used the built-in FX during WFX, and I noticed right off that if took very little set-up at all. The reverb in particular sounded great without a lot of adjusting or tweaking, and is something that would be very beneficial for live mixing in a worship environment. The CDC eight can also interface with WAVES sound grid, which would allow access to any of the WAVE plugins your HOW owns or wants to purchase, and all the standard interface cards can be brought in through CADAC’s MegaCOMMS digital audio network protocol and network bridges. 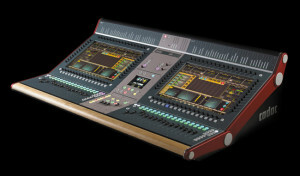 The CDC eight-32 features 32 motorized faders, can mix 128 channels, and access up to 310 inputs (including local IO). Especially important for HoW, the consoles128 channels all have full processing, and the 64 Busses, with 56 configurable in pairs (group/aux/st aux plus dedicated LCR, monitor LR, headphones LR and talkback) gives you enough outputs for whatever gets thrown at you. The Local IO can run up to 8 cards in any combination, and the desk can have up to 196 outputs. No matter what audio we ran through the console, the sound was very clean – the console was super transparent and responsive. As a matter of fact, we didn’t have to pay a lot of attention to the sound because it was so good. There wasn’t a lot of tweaking needed to get the clear sound we wanted. 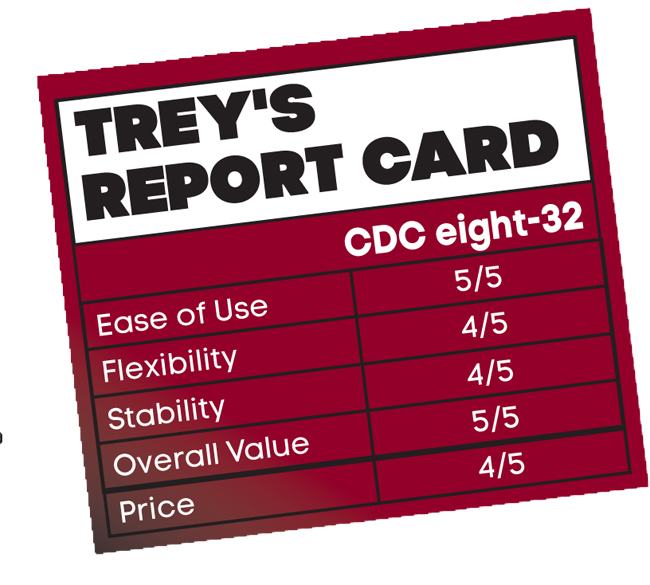 The CDC eight-32 is a great console for HOW. If a church has the budget for it, this console should definitely be looked at. They do make a smaller CDC eight-16 (one screen, 16 faders) that would be a good choice as well. For that matter, at WFX, we spent most of the time mixing the band on one screen anyway. Trey Blair is the Executive Director, AE Production Services, and also a Project Manager for AE Global Media. He has been working for 21 years’ in AVL and integration for HOW and has been with AE Global Media for 13 years. Follow him on twitter @treyblair.